New school clothes and backpack. Check. Back to School haircut. Check. 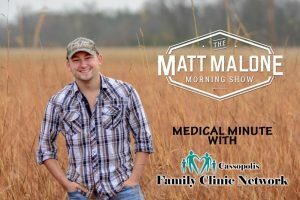 Back to school physicals. Check. New lunchbox. Check. Ideas on what to pack for your child’s lunches……. We’ve all been there. It is important that children have a well-balanced meal to keep them energized throughout their school day. This week’s Y-Country Medical Minute quickly discusses a few ideas on what to include for a healthy lunch for your child. Fruits – Include whole fruits such as fresh, canned, frozen, or dried. When able, choose whole fruits over 100% fruit juice. Vegetables – There are five vegetable subgroups: dark green vegetables, starchy vegetables, red and orange vegetables, beans and peas, and other. Protein – The protein food group includes both animal (seafood, meat, poultry, and eggs) and plant sources (nuts, beans, peas, seeds, and soy products). Dairy – This group includes mikes, yogurt, and cheese. Choose fat-free (skim) or low fat (1%) dairy foods. Fruits – grapes (cut or whole), apples (sliced, whole, applesauce), oranges (halos, mandarine, etc. ), strawberries (whole or sliced), banana, pineapple, blueberries, kiwi (sliced), etc. Vegetables – baby carrots, celery, peppers (green, red, or yellow), broccoli, cucumbers, etc. Grains – whole grain bread, whole grain wrap, whole grain crackers or pretzels etc. Ants on a log – Take a few pieces of celery, fill the middle with peanut butter and sprinkle a few raisins on the top. Butterfly – Take a sandwich bag and fill on a side with grapes and the other with whole grain crackers or pretzels. Seal the bags and twist the middle and clip with a clothespin to make it look like a butterfly. Pinwheels – Make your child’s favorite sandwich into a wrap then slice and lay in a container to look like little wheels. 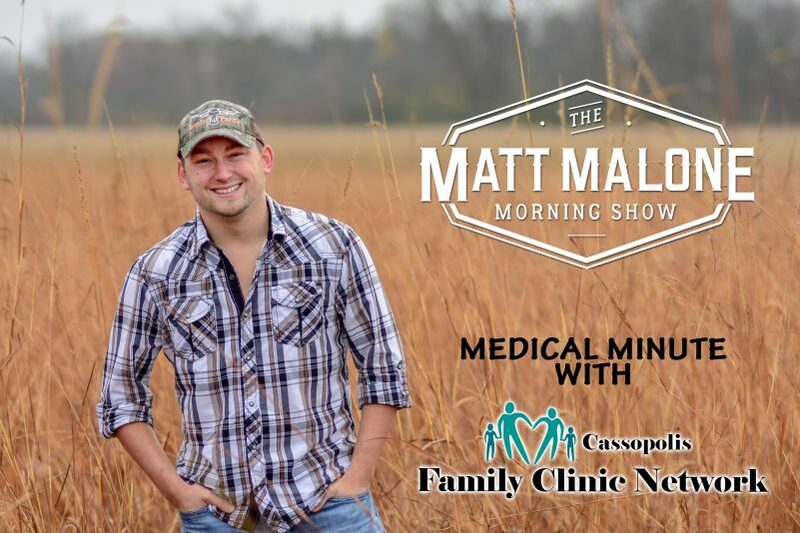 Tune in to the Y-Country Medical Minute brought to you by Cassopolis Family Clinic Network every Monday morning at 8:40 a.m. on 97.5 Y Country, during the Matt Malone Morning Show.